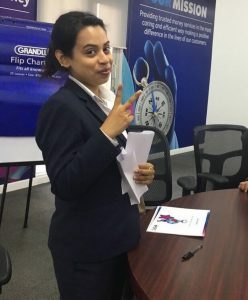 Being able to work in such a big MNC whose headquarters are located in Bahrain, I feel obliged to write this little blog sharing my experience with my fellow mates. It gives me immense pleasure to be able to speak about Bahrain Financing Company (BFC). The working environment was so good , the staffs were so welcoming and the best part about this internship was to learn more about ‘customer service’. I had to deal with 100-150 customers on a daily basis as my main job was in the retail branches to provide services to the customers interms of remittance, foreign exchange, etc. Every person who worked with me in the same branch, was so co-operative and helpful at all times. The branch manager was so kind and generous to provide his full support at all times whenever I faced some difficulties. We were a total of 16 trainees from different parts of the world and we had a good time working together. It was fun moment spent within the working space besides learning. 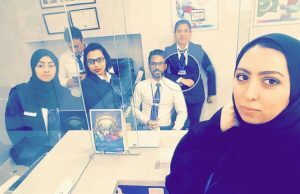 Behind the scenes 🙂 .. inside the branch with colleagues ..